In a Nov. 16 Los Angeles Times op-ed article, Daily Beast correspondent James Kirchick asks, "In the world of religious tax exemptions, does Scientology measure up?" The answer to that question is a resounding yes. I was the Church of Scientology's primary tax counsel in its successful efforts to obtain federal tax exemption, a status it fully and fairly earned and continues to merit. Unlike Kirchick, I know exactly whereof I speak. The Church of Scientology is recognized by the Internal Revenue Service as tax exempt because it established to the agency's satisfaction that it is organized and operates as a charitable religious organization. The church did not engage in a "ruthless battle to win a religious tax exemption"; rather, it simply worked continuously to demonstrate that it should be treated the same as other religious denominations. The examination process resulting in exemption in 1993 was fully documented through an extensive administrative record that was then and is still available for the public to review; at 14 feet tall if the papers are stacked, the IRS' record on the church is the largest in the history of exempt organizations. The IRS determined that the church's operations fully qualified as tax exempt then, and its operations continue to warrant that determination today. Kirchick's claim that "America's recognition of Scientology as a religion stands as an anomaly in the Western world" is not true. There are judicial decisions from the highest courts in Australia, the United Kingdom and Italy, in addition to numerous decisions from lower courts in dozens of other countries, including Spain, France and Germany, all holding that Scientology is a religion. Indeed, many of these decisions have provided the modern definition of religion in their respective jurisdictions. The Australian High Court's unanimous decision in 1983 stands as the leading precedent throughout the British Commonwealth for the definition of religion and charity status. In another unanimous decision, the United Kingdom's Supreme Court in 2013 not only recognized Scientology as a religion but also replaced that country's Victorian-era definition of religion with a modern one that fully embraces Scientology. In 1997, the Supreme Court of Italy not only recognized the religiosity of Scientology, but also found the church's fundraising practices to be fairer than those of the Roman Catholic Church. Scientology has been recognized as a religion by courts and governments across the globe, including most recently in Colombia last May and Mexico in November. Kirchick did get one thing right in observing that Mormonism "was long considered a cult (its adherents the targets of episodic violence) but is now increasingly accepted by mainstream society as just another branch of Christianity." This experience, however, is not unique to Mormons: History shows that virtually every new religious faith has been defamed, persecuted and suppressed by the society from which it emerged. Indeed, Scientology's acceptance as a world religion has come quickly by historical measures. The church increasingly enjoys cooperative relations with numerous governments worldwide as well as with like-minded religious, social and humanitarian institutions in the communities it serves. 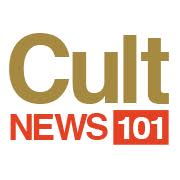 Lost in a tabloid obsessed, click-bait culture is the real story of Scientology. Monique Yingling is the Church of Scientology's tax counsel.